Joint-stock company Kyivstar has switched off its mobile communications network in certain areas of Donetsk and Luhansk regions, due to improper usage of its network. Kyivstar's press service told Interfax-Ukraine that at present it is impossible to control the network as some areas of Donetsk and Luhansk regions are temporarily not under the control of Ukrainian authorities. 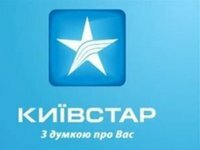 Kyivstar, observing Ukrainian law, taking into account security interests and the safety of client's data, temporarily disconnected the segment from the main network and suspended the provision of services to subscribers in the said territory. The state service for special communications and information protection of Ukraine, the Security Service of Ukraine (SBU) and the National Commission for Communications Regulation (NCCR) were informed of the decision. "Our specialists are analyzing the situation. A decision to prolong the shutdown mode or restore communications will be made after the technical assessment of the situation based on the principle of ensuring the integrity of the Kyivstar's network and the protection of subscriber's data. The company apologies to its clients for inconveniences appeared through no fault of ours," the press service said.